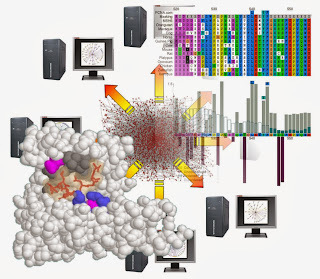 Postdoc opportunity in Short Linear Motif discovery! 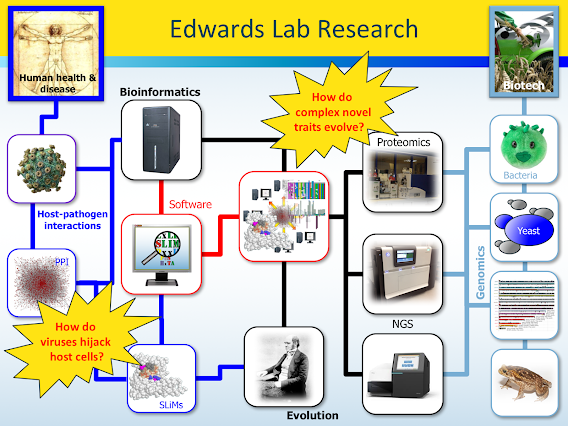 As part of the move to UNSW, a 10 month computational postdoc position is available in the lab. The position is not attached to a specific grant and thus the research focus of the position is flexible and open for negotiation. It will, however, be something related to the lab’s primary research focus of computational Short Linear Motif (SLiM) discovery. 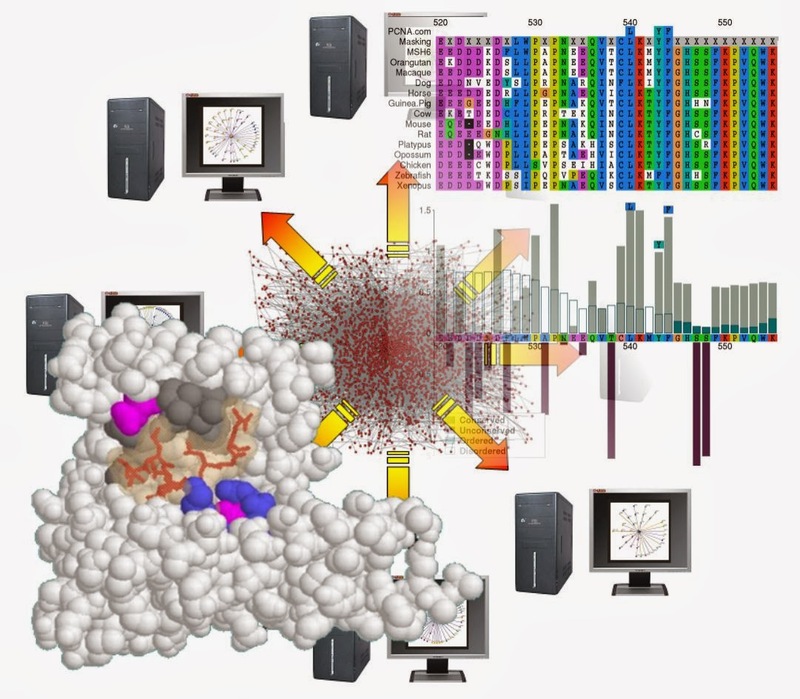 Possible projects include (but are not limited to): molecular mimicry by viral or bacterial pathogens; the role of SLiMs in cancer; interrogating protein-protein interaction networks to predict SLiM function; SLiM prediction database/visualisation development. For more on the research of the lab, please visit my old University of Southampton and/or new UNSW pages or email for more information. Short-listing will (probably!) begin on 1/12/13 but applications are welcome until the position is filled. To apply, or find out more, please email a copy of your CV and your research interests. Candidate should have good computational skills. Start date is flexible but likely to be around January 2014. 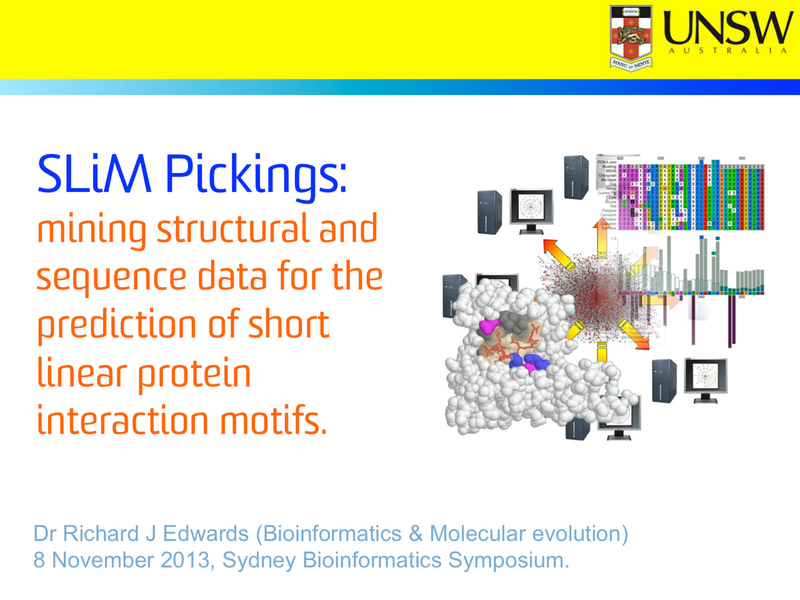 Less than a week after starting at UNSW, I was lucky enough to present the work of the lab on Short Linear Motif (SLiM) discovery at the third annual Sydney Bioinformatics Research Symposium, which was held on Friday 8th November at the Garvan Institute. It was a great day, organised by the Australian Bioinformatics Network (ABN) for bioinformaticians and bioscientists in the Sydney region, and I was pleased to see so much exciting stuff going on in the Sydney area and beyond. Now at the University of New South Wales! As of Monday 4th November 2013, Rich is a Senior Lecturer in Bioinformatics in the School of Biotechnology and Biomolecular Sciences (BABS) at the University of New South Wales (UNSW) in Sydney, Australia. Due to grant restrictions and collaborations, the rest of the lab are staying in Southampton. For now..!